What is your default PHP.ini file? Whether you are looking to make some custom changes to your PHP settings or just switched PHP versions and the wrong settings are being loaded, you may need the default PHP.ini file for your current PHP version. Below we will go over why this file can be important. What does the PHP.ini file do? The php.ini file contains all of the current PHP configuration settings: such as the execution time, memory limit, etc. This is also how PECL modules are enabled such as memcache, APC, etc. This file allows you to override the servers default configuration settings. The PHP Configuration option is available in shared server accounts (this includes Reseller accounts). The dedicated/VPS accounts will only have the PHP Configuration option if it has been loaded. This option provides a quick and easy way to load up a PHP.INI file without having to manually create it. Make sure you're using the PHP version you want (if you're not sure, then leave it as it is), then click on the Update button. 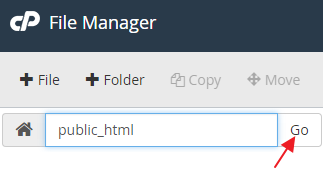 That will create the default PHP.INI file in your PUBLIC_HTML folder. 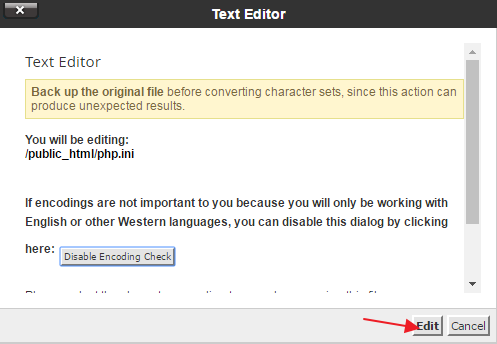 Clicking on the button for your PHP version will open a new window containing the correct php.ini file for that version. Below are the steps for adding a php.ini file to your account. Edit the php.ini file you just created. Copy and Paste the default php.ini code from the buttons above. You may need to ensure the website is following that php.ini file or make it recursive. You can also check this using your phpinfo.php file. Copy and Paste the default php.ini code from the buttons above. Which button? Where's the code? Pressing the PHP buttons at the top should open a new window with the code. Very helpful tutorial for creating the ini file. I used it after updating the PHP version to ensure the ini file was updated as well.